This large organization wanted to strengthen its value and growth by redesigning current processes, improving business flexibility, time-to-market, innovation, and customer experience. Customer Service managers had to print or bring people into their office to review operational statistics with their representatives and team. This was taking additional management time to create the reports and then time to pull the representatives off the floor. Management needed a mobile solution for reviewing customer representative and team operational statistics. At the same time, security and service requirements dictated that the company's data must remain on premises. Prologika implemented a Power BI hybrid solution. The data was loaded in Analysis Services semantic models. The solution used the Power BI Enterprise Gateway to provide connectivity to the on-premises data. 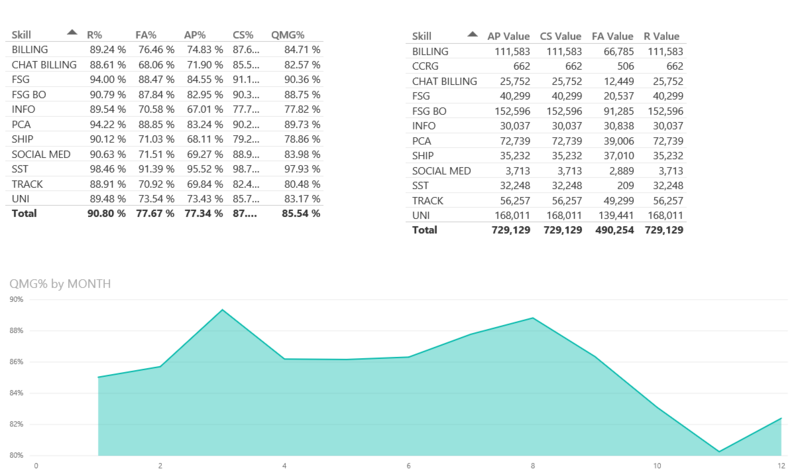 Managers use the Power BI mobile apps to view insightful Power BI reports and dashboards on tablets and smart phones. 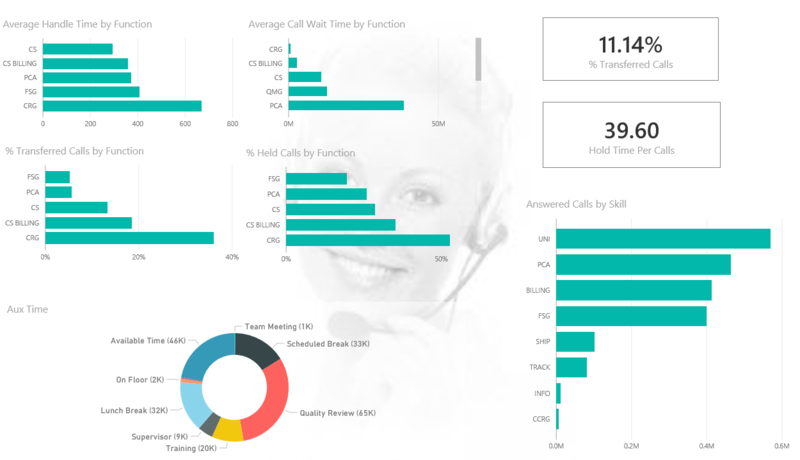 Power BI allows Customer Service managers to view key performance statistics on any device and from any place that has Internet connectivity. The hybrid solution didn't require any changes to the current infrastructure, such as opening ports or granting proxy exceptions. Moreover, it brought the agility of the cloud and started a path of transformation for data analytics. Other organizational units are currently adopting the Power BI hybrid architecture developed by Prologika.